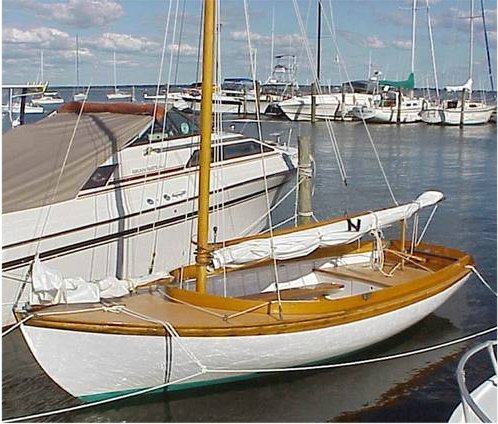 The original boats were built by Herreshoff Manufacturing beginning in 1914 (357). From 1943 to 1948, more were built by Cape Cod Shipbuilding (34 + 200, later in fiberglass), as well as the Quincy Adams Yacht Yard (51). 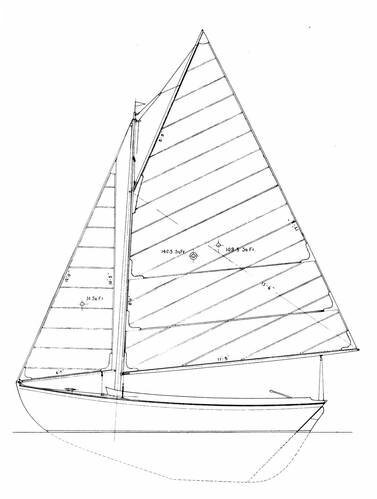 Cape Cod Shipbuilding came out with the BULLSEYE, built of fiberglass, with a similar hull but a different rig. The DOUGH DISH, (one of the many nicknames previously associated with the class)is a faithful rendition of the 12 1/2, first built in 1972 of fiberglass by Doughdish Inc., of which 575 were built. They have been recognized and approved by the class to race on equal footing with the remaining, original wood boats. Class rules permit a spinnaker of 140 sq. ft.